All children have the right to education, based on equality of opportunity, and Whitchurch Primary School, in partnership with parents and other parties, must take measures to encourage regular school attendance and reduce rates of absenteeism. 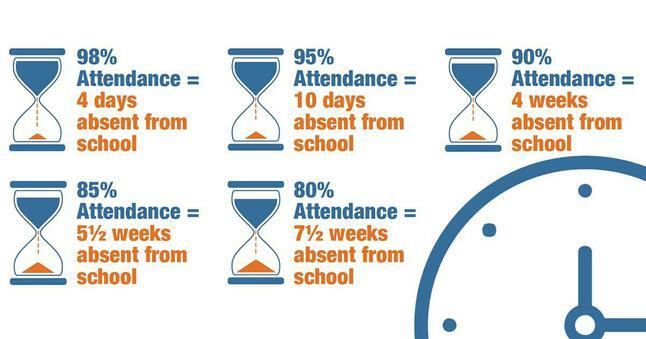 A child’s success at school is likely to be affected negatively if their attendance is poor. Those who do not attend regularly may fall behind in their learning, leading to underachievement, both academically and socially. 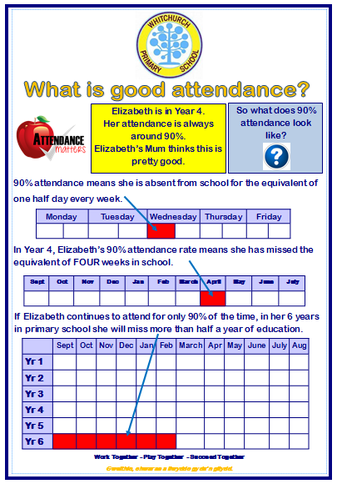 Whitchurch Primary School recognises the crucial role that parents play in promoting good school attendance. The school therefore seeks to provide professional, quality information and advice, communicated frequently by telephone, email, leaflets, parents’ evenings, school reports and via the school attendance webpage on our school website. Support pupils returning to school after significant periods of absence. Pupils at Whitchurch Primary are dedicated to their learning and are happy in school life. This is reflected in the school’s enviable attendance rate, which was 96.4% for academic year 2017/2018 (The target for Cardiff schools is 95%). In addition, 40% of our pupils achieved 100% attendance over the Summer term 2018, and 11% of pupils achieved 100% for the whole of the academic year. Our target attendance is 96%. The graph below shows weekly attendance at our school over the Spring Term 2019. The graphs below show our comparative attendance over Autumn, Spring and Summer Terms. This chart is a checklist of the national guidelines on how long a child should remain absent from school when suffering from the ailments listed. Parental discretion should of course be used for conditions where no recommended period of absence is given (eg: tonsillitis). a score of 90% in a test would be a good result but 90% attendance means that a child will have missed around 100 lessons over a school year. 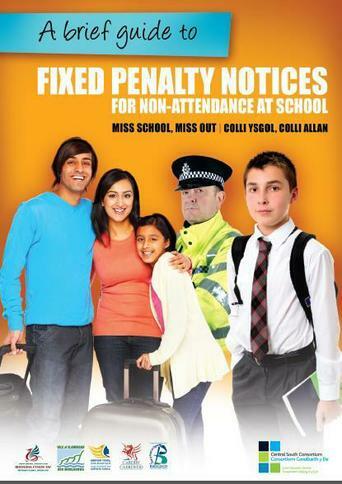 Click here to view Cardiff Council's School Attendance website. Click here to report your child’s absence online.